Tippler’s Tales: Can a Glass a Day Keep the Doctor Away? Every day it seems we’re faced with some sort of news headline that tells us such a food is good for us, or that we should avoid eating or drinking something because it might make us ill, then the next day a contradictory story might appear saying the opposite! It can be very confusing and frustrating to say the least. However, one thing is for certain, a decent glass of good quality wine can be something we can enjoy and that can actually benefit our health in a very positive way. Here are just a few of the ways that a little tipple can do us good. 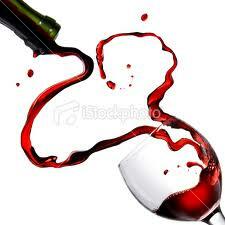 Red wine contains substances called Tannins. These tannins have substances within them called procyanidins. Procyanidins are also known as flavonoids, which have an important effect on the function of the heart, keeping the arteries flexible, making sure free radicals don’t attack the heart chamber itself and helping to keep blood pressure down and blood clots from either getting any worse, or forming in the first place. A regular intake of this wonder compound can also guard against fatty deposits forming in the arteries and causing blockages. Believe it or not, a moderate intake of good red or white wine can really help to guard against conditions like Type-2 diabetes occurring and can help control the symptoms of sufferers who are already diagnosed. It’s all down to what your wine is made from – grapes. The skin of this fruit contains chemicals called polyphenols. These polyphenols help to actively control blood sugar in those who drink a moderate amount of red wine as part of a healthy lifestyle. They stop surges and plunges from occurring in blood sugar and help to possibly regulate the occurrence of hypoglycaemic attacks as well. While many would assume that imbibing alcohol might have a detrimental effect on their hair, it seems that in actual fact the opposite is true. 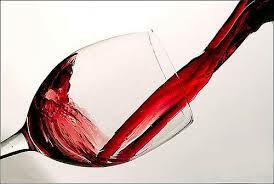 Hair loss can actually be helped by taking on board a glass of good red wine every day. 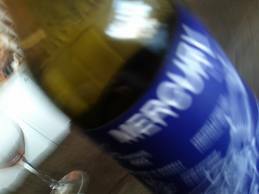 There is yet another wonder chemical contained within wine, called Resveratrol. Again, this is something that is found in the peel and also the seeds of grapes used in wine production. It can concentrate during the production process, meaning it’s benefits can be increased. It works to inhibit and stop inflammation within the body. Inflammation, alongside disrupted hormones are two of the biggest causes of follicle disruption and fall, causing the follicles themselves to shrink, which in turn makes the hair shed. Sometimes, hair does not grow back, or it does so thinly and patchily. Consuming Resveratrol enhances the chance of your hair maintaining its thickness and vitality and may stop any hair loss that is currently present from getting any worse. Wine of course also has the effect of relaxing you, meaning that the nutrients from your food are better absorbed and utilised by the body, better nutrient uptake – healthier hair. Relating particularly to red wine, one large glass a day is said to help cut the risk of developing colon cancer by as much as 45%. A study, carried out by Stonybrook University in the US found that of a test group of around 1,700 people, all over fifty, who regularly drank a moderate amount of red wine, only 3% of them developed any signs of bowel tumor or abnormality after 3 years of regular red wine intake. Whilst the scientists were at pains to point out that red wine is by no means a cure for cancer, the test did prove that certain compounds within the wine (and yes it’s our old friend Resveratrol) was responsible for halting any abnormal growths from either occurring or getting worse. Again, it is red wine that the focus is on here, with a scientific study conducted in Reykjavik showing that a moderate consumption of good quality red wine could halve your chances of contracting cataracts in later life. They studied 1,045 people, again, all aged over fifty – testing them beforehand to make sure they did not have cataracts or other eye conditions. The participants in the study were either classed as drinkers, non-drinkers or heavy drinkers and they were monitored over 5 years. After this time, they were retested and it was discovered that of the non drinkers, 32% had developed cataracts, whilst 22% of the heavy drinkers had developed them. Once other health factors had been taken into account by the scientists, they concluded that people who drank good quality red wine in moderate amounts were, on average 50% less likely to develop cataracts than non drinkers or heavy drinkers. It seems our favorite tipple is good for us after all – now we know we can enjoy it responsibly and recognise that it’s doing us good, it should taste all the more delicious! So I guess the question has to be: what is a good red wine to drink?